On Thursday, October 26, SMU Meadows School of the Arts and the Dallas Theater Center (DTC) host a review and panel discussion of research findings from the pilot year of Public Works Dallas. Author and Stanford professor Shirley Brice Heath will compile the key points that offer thoughts for the coming year. Her talk will be followed by a panel discussion moderated by Dean of the Simmons School of Education Stephanie Knight, featuring DTC Artistic Director Kevin Moriarty and Director of Ignite/Arts Dallas Clyde Valentin. It’s part of an arts and cultural movement underway in Dallas right now. 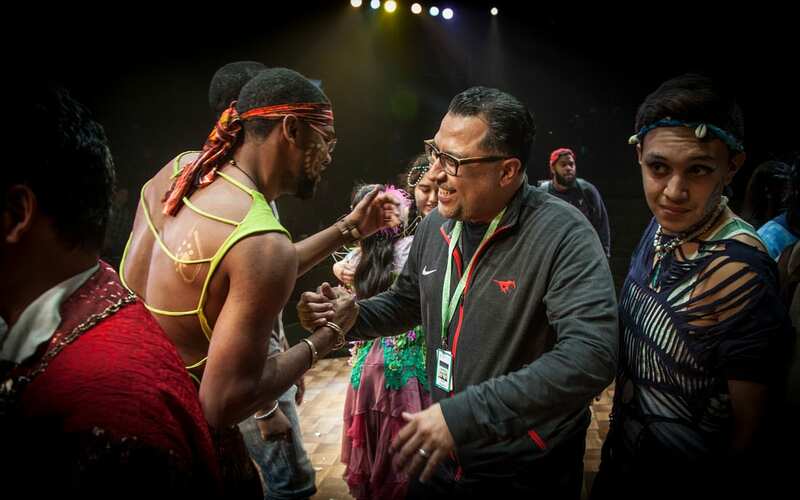 Director Valentin is focusing on the intersection of arts and community engagement between Meadows School students, the wider SMU campus, the city of Dallas and the arts field at large. 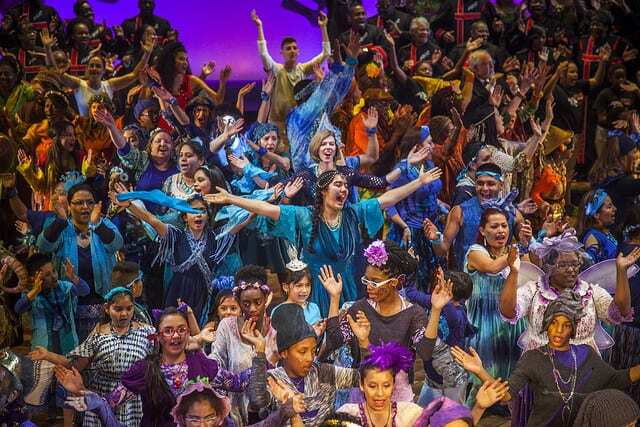 In 2016, Ignite and the DTC brought a community-built production of The Tempest in a way the city of Dallas has never seen. The conversation continues tonight, and Public Works will layout what’s to come. The peer produced HowlRound TV network will livestream the event on Thursday 26 October 2017 at 5 p.m. PDT (Los Angeles) / 7 p.m. CDT (Dallas) / 8 p.m. EDT (New York). Live stream it here. Follow and jump in the conversation on Twitter. Follow @howlround for updates and use #howlround and #smumeadows to comment. Join our free event at SMU Meadows. At 6 p.m. on Thursday, October 26, there will be a reception in Bob Hope Lobby. At 7 p.m., the presentation and panel discussion will take place in the Caruth Auditorium. Can’t make the event? Read the SMU Magazine Feature on the community production of The Tempest.